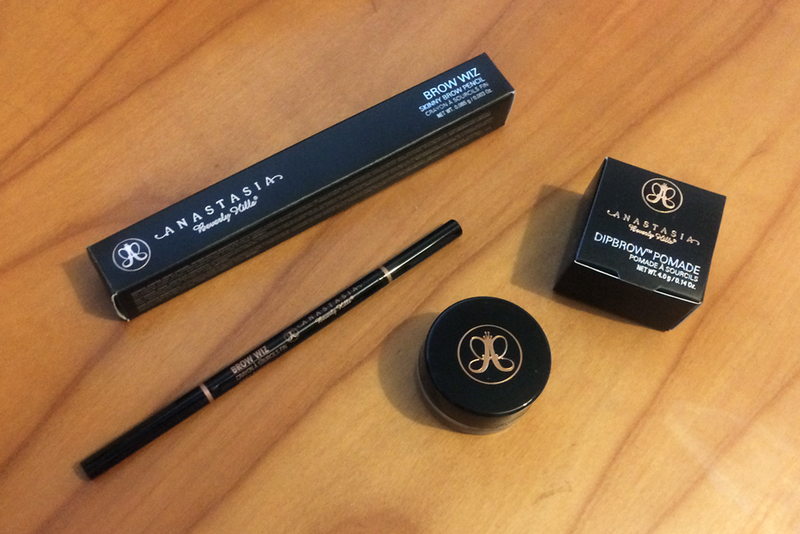 I'm so in love with these products and how my brows have looked since I've been using them! It's a beautiful thing being happy with your eyebrows you know. 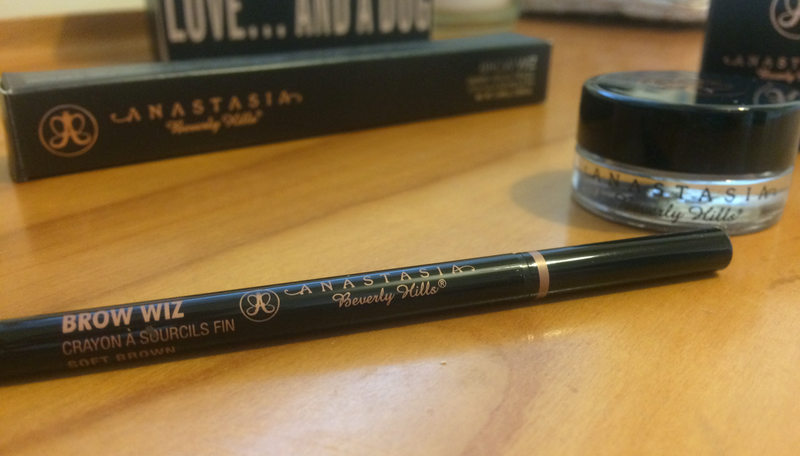 At the moment I'm using an ebay ordered flat angled brush with my dipbrow and though I intended on purchasing a branded and better brush this one is doing pretty well so far so I think I'll hang onto it for a while longer. I actually had to look up 'pomade' as I wasn't exactly sure what it was and it turns out it's the term for this type of product - A greasy or waxy (in this case waxy) substance that is used to style hair making it look shiny and slick without drying out. 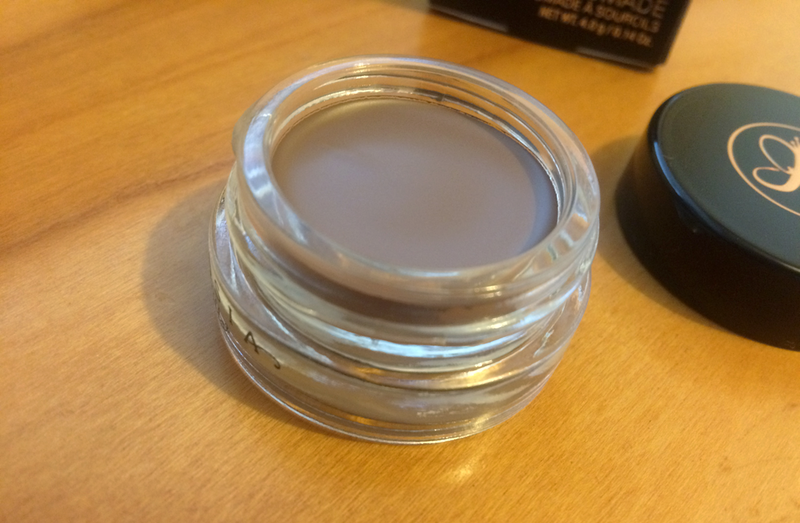 This means that no more am I seeing brown shadow across my lids at some point of the day, nor are my brows budging from where I put the in the morning, they sit perfectly all day until I decide it's time to move or remove the product. Yay for pomade! This isn't the best photo in the world but it demonstrates how I'm happy with my arch and fullness of my eyebrows at the moment, there are probably better shots in my latest outfit photos because the photograph above was taken at home on a very dull day so it's not that clear anyway nor is it obvious I've only done one eyebrow because of the camera angle - you'll also need to excuse the messy hair up and hoody attire. You can see from the swatches on the left that the brow wiz and dip brow are buildable shades and so this makes it easy to manage the shape and definition of your brows. 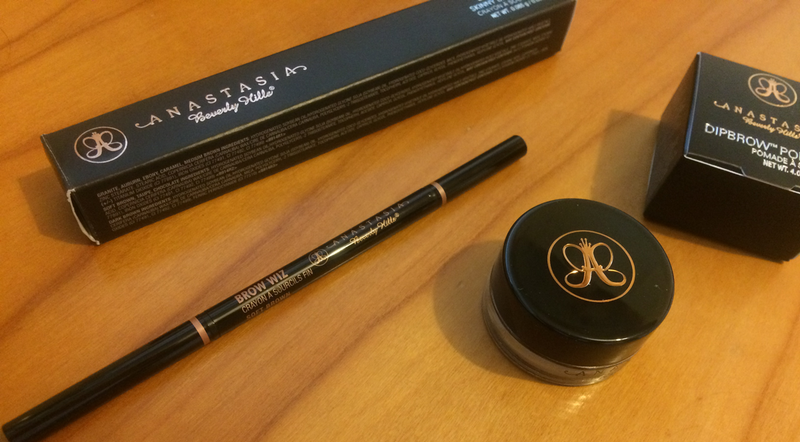 I hope you like this post, I know it was quite long but I also know that I could have written more so if you have any questions at all about my experience with the Anastasia Beverly Hills brow products or even my Cult Beauty order I'll be happy to answer them.